With over a hundred ways to prepare an egg, there is a tasty egg treat for everyone to benefit from. 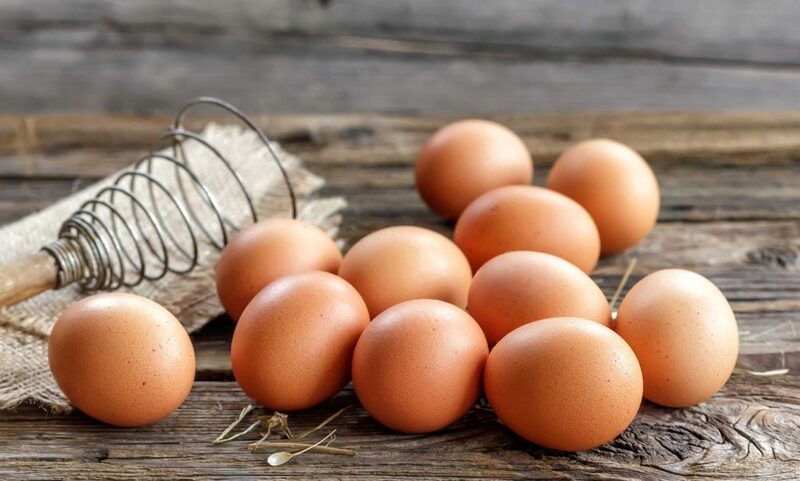 Eggs are enjoyed in dozens of delicious ways; from the most common scrambled egg breakfast to hard boiled salad toppers to even egg drop soup, providing even the pickiest eaters with a nutritious meal. Wash the four tomatoes thoroughly, cut off the tops of each, and scoop out the inside like you would a pumpkin. Season and bake the tomatoes in the oven at 400°F for 3 minutes. Remove the tomatoes from the oven and put one teaspoon of creme fraiche in the bottom of each tomato. Break one egg into each tomato and place back in the hot oven at 400°F. Cook until the white of the eggs turns a solid white color. This entry was posted in Egg Applications. Bookmark the permalink.